Dare to imagine a new birth from deep within Christianity, a fresh stirring of the Spirit. "The walls of Western Christianity are collapsing. In many parts of the West that collapse can only be described as seismic.... There are three main responses or reactions to this collapse. The first is to deny that it is happening. The second is to frantically try to shore up the foundations of the old thing. The third, which I invite us into, is to ask what is trying to be born that requires a radical reorientation of our vision. What is the new thing that is trying to emerge from deep within us and from deep within the collective soul of Christianity?" "Occasionally I read a book that leads me to think, 'I wish I had written that.' This is one of those books." "Draw[s] from fresh, deep springs of faith ... placing before us the challenge of our day: Will we allow God to be born anew in us, in the earth, in the cosmos? Will we embody the ever-new life of the Source from which we come?" "Wow.... 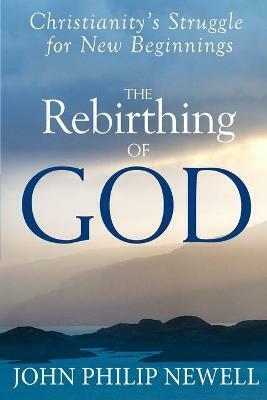 This book will move you ... with fresh insight into the rebirth of everything. What a writer, what a book!" "From page one to the conclusion, John Philip Newell engages our imagination and as we read we are born anew. His writing is a blessing!" "Reconnecting is the word! The deep connection is already there and given, but this little book of wisdom will help you to find the essential message again--and in fresh, intelligent ways." "Courageous.... A refreshing cup of cool, clear water for our spirits that enlivens us for the journey beyond the stumbling blocks of unquestioned doctrine toward a reconnection with the earth and the human capacity for awareness, compassion and spiritual practices that restore awe and hope for our enacted faith." John Philip Newell, internationally acclaimed teacher, retreat leader and speaker, is the widely read author of several books, including Listening for the Heartbeat of God, Praying with the Earth; A New Harmony: The Spirit, the Earth & the Human Soul and Rebirthing of God: Christianity's Struggle for New Beginnings (SkyLight Paths). Formerly warden of Iona Abbey in the Western Isles of Scotland, he is now companion theologian for the American Spirituality Center of Casa del Sol at Ghost Ranch in New Mexico and the co-founder of Heartbeat: A Journey Towards Earth's Wellbeing.